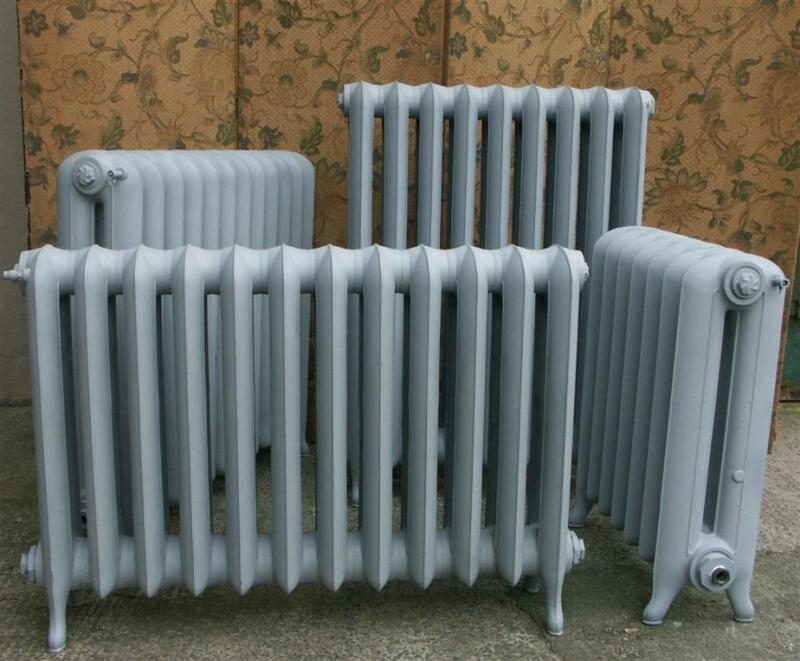 The pictures showing a set of princess style radiators recently refurbished for a customer. 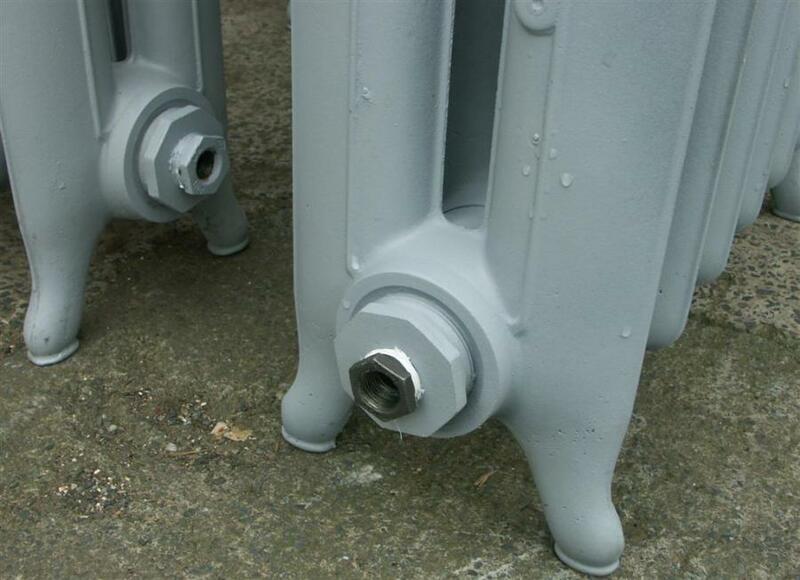 They were supplied flushed out, sandblasted and primed, pressure tested, with fittings reduced to suit their plumbing system and with wall keeps and ties.They were painted on site and were ready to be plumbed in with no other fittings needed. 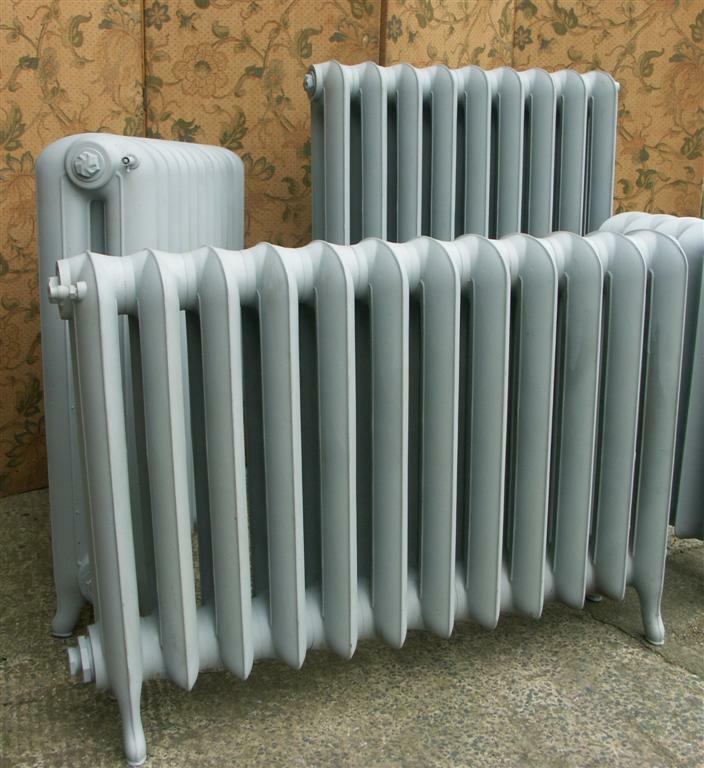 I have other princess / double column and "dutchess" style rads as well as other styles and sizes. 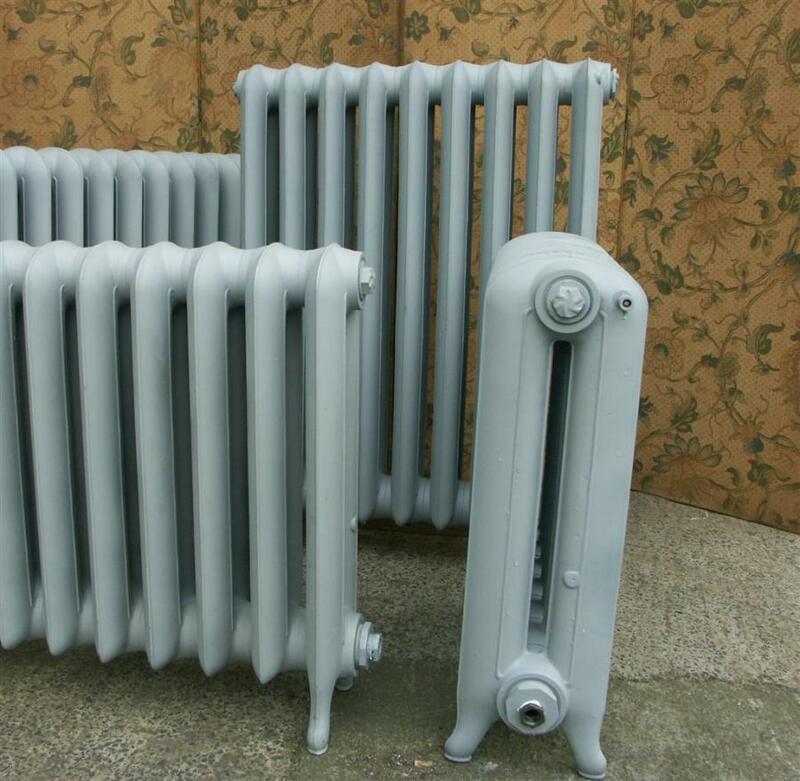 I can make up sets and refurbish to customers requirements and arrange delivery anywhere in the uk.Please see my other adverts under architectural metalwork or email for more information.